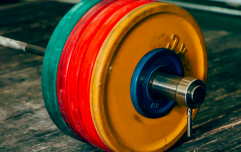 Lower loads can build an impressive level of size if the correct intensity and volume are applied. It's this which WWE wrestlers Sheamus and AJ Styles had in mind when they recently hit the gym together. The two trained triceps following a Blood Flow Restriction (BFR) method. This involves restricting the flow of blood to a target muscle group while using a pressure-type cuff. It's also referred to as occlusion training. Due to the manner in which it restricts blood flow using medical equipment, this method has courted much controversy. However, it is used to great success in the world of professional sport. 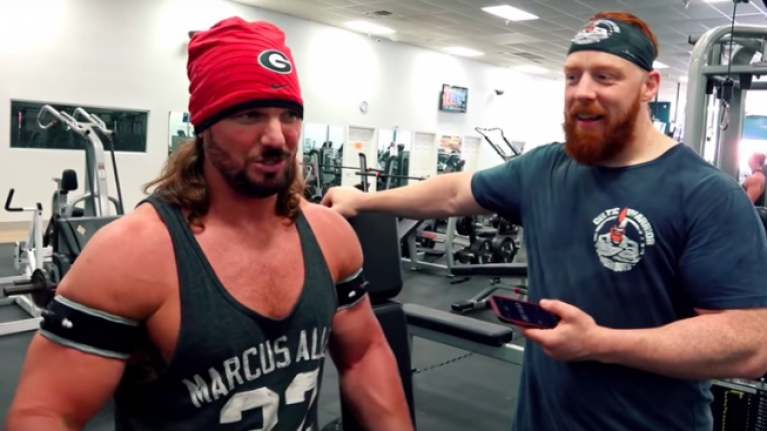 Should you give it a go like Sheamus and AJ Styles did? Or should you exercise caution? JOE spoke exclusive to Dr. Philippa Bennett, Consultant in Sports and Exercise Medicine and a Doctify-rated physician. JOE: What are the pros and cons of Blood Flow Restriction (BFR) training? Dr. Bennett: "The pros are that with the occlusion on, you can get the increased strength gains using lower loads. The cons are that there are some contraindications (risks to people with pre-existing health problems) with this type of training and it can be painful." Would you promote it from a medical standpoint? "I would promote its use, but it should be supervised by a physiotherapist or strength and conditioning coach who has used this type of resistance training. "It is particularly useful in rehabilitation from injuries where we are unable to load through a joint but want to minimise atrophy of muscles around the injured joint." Who should – and shouldn't – use Blood Flow Restriction training? "People with clotting disorders, previous DVT (deep vein thrombosis) or PE (pulmonary embolism), diabetes, high blood pressure, spinal cord injury, smokers, amputees should not use occlusion training. "Those who have an injury and need to improve the muscle strength around the injury should consider occlusion training with good supervision." "Overall, we have used occlusion / BFR with a number of elite athletes and it has worked extremely well as muscle strength is a vital part of recovering from injuries. Seek a good physiotherapist or sports physician for further advice." AJ Styles captured the ethos of BFR when he said "it's better to do it right than to do it wrong lifting heavy weights." If you reach failure lifting lighter, it's not really going to prove much of an issue. But if this occurs when you're hitting the heaviest weights, you'll definitely know.